• Thaw the prawns in the fridge overnight, then wash and drain on kitchen paper. 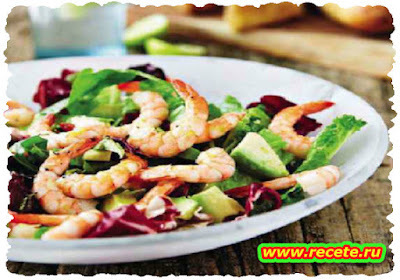 • Put the lettuce in a bowl and add the prawns and avocado cubes. • Grate the peel of 1 lime over the salad and add the juice of both limes. • Drizzle over the honey, olive oil and soya sauce. Season to taste with freshly ground black pepper and salt flakes.